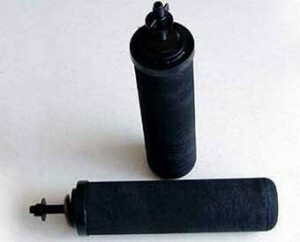 Black Berkey Water Purification Elements are among the best water filters and purifiers known to man. Black Berkey Water Purification Elements are extremely powerful and the very heart of all Berkey Water Purification Systems. Sold always in sets of (2) you may additional Purification Elements in the drop-down box below. 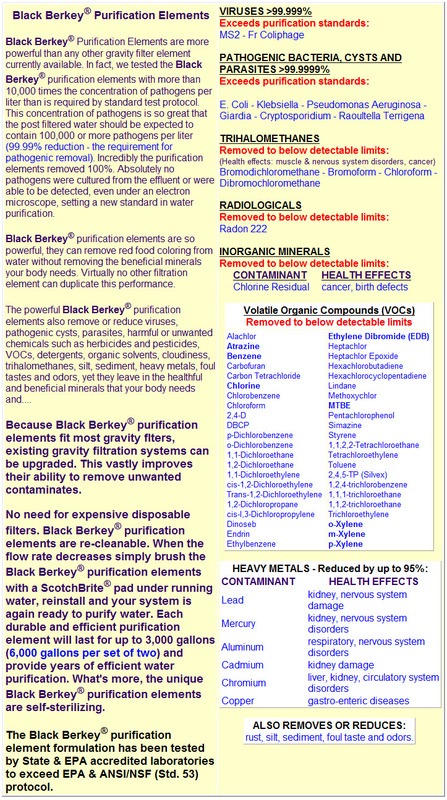 Powerful Water Filtration and Purification – Black Berkey Filters Specs. We could go on and on about how great the Black Berkey Water Purification Elements are…but, just reading the info below should get you up to speed.